You know the Christmas season has started the second you put the fork down on Thanksgiving. Santa comes to town in the Macy’s Thanksgiving Day Parade and pine trees take up prime real estate on the sidewalk. Everything becomes adorned in fairy lights, which can make even a New York garage look festive. So put on your ugliest sweater, grab some eggnog and get ready to listen to Mariah Carey’s “All I Want for Christmas” on repeat, because it is Christmas and there is something magical in the air. 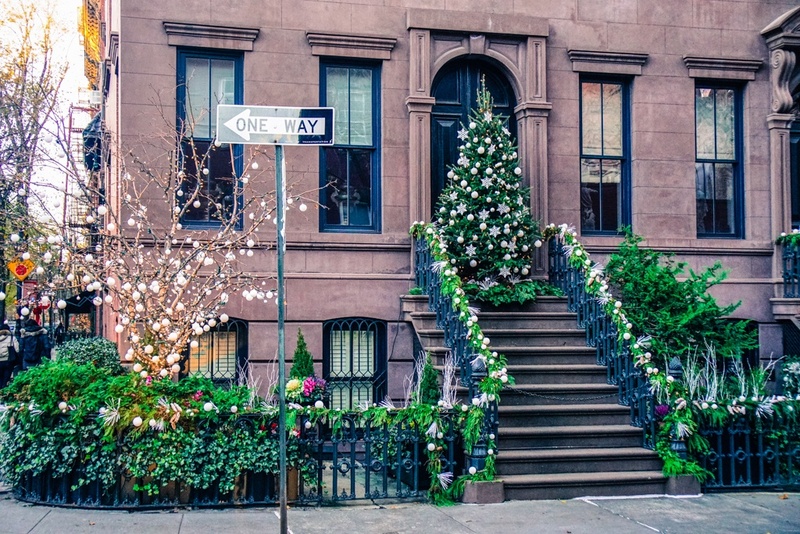 It really is the most wonderful time of the year and here is your checklist for the must-do Christmas Activities in New York City. While the only thing I have walked away from these markets with is a free hot chocolate sample, the stalls are very festive and beautiful to look at. This is the place to get all your stocking stuffers and feel like you are in a Hans Christian Andersen fairy tale. See, practical and magical all at the same time. The market is open between November 17 and December 24. Dyker Heights gives Times Square a run for its money during the holiday period. This Brooklyn neighbourhood is famous for its extravagant light displays on homes (that would put Clark Griswold to shame). Some are completely over the top gaudy and others are simply stunning, but a trip down the streets in the cool winter air is sure to make even the Grinch bust a smile. Take a stroll down 5th Ave starting at Bergdorf Goodman and peep in all the high-end windows decked out in more than a few baubles and tinsel. These displays aren’t just thrown together on November 30th, these windows go through months and months of planning and designing and it shows. The craftsmanship in each window is jaw dropping. Finish the tour down at Saks’ just in time for the light show that starts at 5pm and runs every 15 minutes ’til 11pm. Don’t forget to turn around and take in Mr. Rockefeller all lit up in a purple hue. 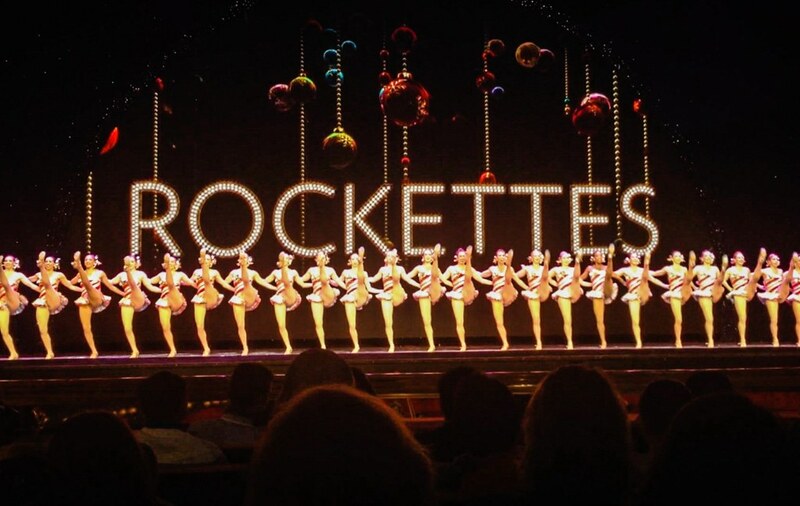 High-kick it at The Rockettes or see Mariah Carey’s ‘All I Want For Christmas Is You’ show at the Beacon Theatre. Both are mind-blowing in terms of choreography and yes, Mariah is still hitting those notes just as high as the Rockettes kick those legs. There are no rules as to how old is too old when enjoying sledding down the hill in Central Park. Every corner shop sells plastic sleds for a couple bucks or an old piece of cardboard will get you down a few times. Growing up in Australia where we get a good healthy dose of sunshine, sunshine, and more sunshine, I am first in line for any kind of snow activities. Many assume Rockefeller is the best place to go ice-skating, but between the crowds of tourists and NBC employees, my suggestion is to head to Wollman Rink in Central Park. This rink has the best of both worlds with the iconic buildings backdrop and nature of Central Park. Plus you will save a few bucks. Bonus points if you can resist the smell of the hot waffles they sell by the rink. No explanation needed. The photo below is me, about 2 hours after getting off the plane when I moved to the city.